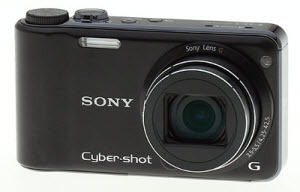 Sony Cybershot HX5V camcorder is impressed by its perfect performance. It can capture 4:3 aspect ratio images at up to 3,648 x 2,736 pixel resolution, 16:9 aspect ratio images at up to 3,648 x 2,056 pixels, or 60 fields-per-second video at 1080i (1,920 x 1,080 pixel) resolution or below with Dolby Digital stereo audio, using AVCHD compression. For some AVCHD footage, you can try out the camera with iMovie 9 and it could work successfully! (iMovie 8 can import MTS/M2TS files, but there are such or that problems.) I have ever imported 10 minutes of AVCHD with MTS file extension from an SDHC Class-6 card to my Mac with success and tried iPhoto with my camera and everything worked great. For the other SD clips of MP4 format, iMovie can recognize without problems. If you have the Sony DVDirect VRD6, there's a firmware download on Sony's website to accommodate burning AVCHD from a digital camera video such as this HX5V. But you will happen to a problem, when you tried to edit the demo in Final Cut Express (4.0.1), the program didn’t support AVCHD MTS files at all! Did you expect that to happen? Final Cut Express 4.0 claims to support AVCHD videos, but you can’t get it to work for the first demo recording with Sony HX5V. So now how to deal with it? Don’t worry, Aunsoft Mac MTS/M2TS Converter is here to help you. It works quite well with the MTS footage and the converted MOV video is of very good quality. You are sure to be impressed by the function of this converter of joining/ merging multiple MTS clips into one single output, which is indeed a very efficient way. After you converted all the AVCHD footage into MOV format, you are allowed to import the video into Final Cut Pro for further editing. Well, in the conclusion of this review of Sony Cybershot HX5V, considering about built-in GPS and compass, stereo audio, very little geometric distortion, what’s your rate for Sony Cybershot HX5V? I just give 4.5 stars instead of 5 stars since AVCHD MTS footage is still hard to edit.